The best ideas are usually very silly ones. Riding a bicycle from one end of Africa, the continent of ultimate travel, certainly fits the bill. Designing and leading a tour that allows ordinary men and women to fulfil a dream to do just that takes a silly idea and multiplies the logistical challenges by far more than the number of people there. That’s where the Tour d’Afrique comes in. This bicycle race and expedition, running over 8,000 miles from Cairo to Cape Town and taking in Egypt, Sudan, Ethiopia, Kenya, Tanzania, Malawi, Zambia, Botswana, Namibia and South Africa is celebrating its tenth anniversary. I was lucky enough to ride a section of this in 2009, and found it an unforgettable adventure. I won’t go into the details here, but you can have a read about some of the more memorable moments in this post. The Tour has in some ways come a long way in ten years, and the company behind it has launched tours covering many other parts of the world. The essence, though, remains the same. A spirit of adventure, of making the impossible possible, of pushing the limits of what individual think they can achieve. Most of all the expedition is one long love letter to Africa, to camaraderie and to the human spirit. 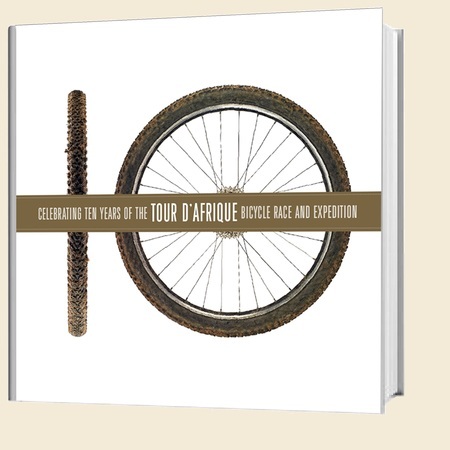 As this is all undeniably worth celebrating, hats off to the intrepid crew behind the Tour, who have marked ten years on the road in Africa with a sumptuous hardcover book. Celebrating ten years of the Tour d’Afrique bicycle race and expedition captures the experience of riding brilliantly. 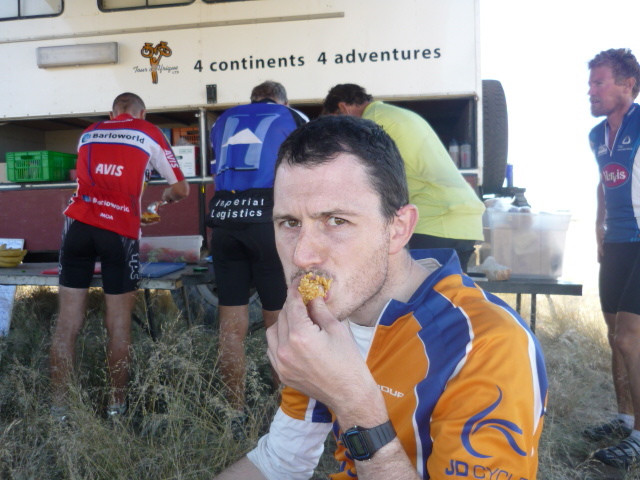 The wildlife, scenery, colleagues, kit, bikes, and above all Africa in its mutlicolour glory are all represented here. If you’ve ridden a stage or more – and chapeau in particular to any EFIers out there reading this (you get your own section, naturally) – a glance at this lovely book will bring your long-gone saddle sores back to life in an instant. Click here for more about the book, and the Tour generally.